Heterozygous male Munich Ins2 C95S mutant mice, a model for permanent neonatal diabetes mellitus, demonstrate a progressive diabetic phenotype with severe loss of functional beta cell mass. The aim of this study was to investigate the influence of early insulin treatment on glucose homeostasis and beta cell destruction in male Munich Ins2 C95S mutants. One group of male Ins2 C95S mutants was treated with subcutaneous insulin pellets, as soon as blood glucose levels began to rise; placebo-treated mutants and wild-type mice served as controls. An additional group of mutant mice received a sodium-dependent glucose transporter 2 (SGLT2) inhibitor (AVE2268) via rodent chow. Insulin treatment normalised blood glucose concentrations, improved oral glucose tolerance, preserved insulin sensitivity and inhibited oxidative stress of Munich Ins2 C95S mutant mice. Pancreatic C-peptide content, as well as total beta cell and isolated beta cell volumes, of insulin-treated mutant mice were higher than those of placebo-treated mutants. In addition, alpha cell dysfunction and hyperplasia of non-beta cells were completely normalised in insulin-treated mutant mice. Treatment with the SGLT2 inhibitor lowered blood glucose, improved glucose tolerance and normalised insulin sensitivity as well as oxidative stress of Ins2 C95S mutants. The abundance of the endoplasmic reticulum (ER) stress markers binding Ig protein (BiP) and phosphorylated eukaryotic translation initiation factor 2 alpha (P-eIF2α) was significantly increased in the islets of mutants, before onset of hyperglycaemia, vs wild-type mice. We conclude that early insulin treatment protects Munich Ins2 C95S mutant mice from insulin resistance, alpha cell hyperfunction, beta cell loss and hyperplasia of non-beta cells, some well-known features of human diabetes mellitus. Therefore, insulin treatment may be considered early for human patients harbouring INS mutations. The online version of this article (doi: 10.1007/s00125-011-2362-7) contains peer-reviewed but unedited supplementary material, which is available to authorised users. Permanent neonatal diabetes mellitus (PNDM) is a specific type of diabetes mellitus that may result from mutations in different genes, including INS . In patients diagnosed at less than 6 months of age, INS mutations are the second most common cause of PNDM . Some of the identified mutations in INS are associated with defective insulin secretion, endoplasmic reticulum (ER) stress, and sometimes apoptosis of beta cells [3, 4]. The pathogenic mechanisms leading to PNDM depend on the mutation: recessive INS mutations result in reduced insulin synthesis and dominant mutations lead to proinsulin misfolding and ER stress . Misfolded mutant insulin is frequently retained in the ER, is ineffectively secreted and perturbs production of native insulin [4, 6, 7, 8, 9]. The pathogenesis of ER stress and its consequences for beta cells is poorly understood to date. Insulin misfolding may lead to increased ER sulfhydryl oxidation, thereby creating increased levels of reactive oxygen species (ROS). The folding of native insulin and other proteins may also be disturbed as a result of the blocking of oxidative pathways [6, 8]. Accumulation of misfolded proteins in the ER causes activation of the unfolded protein response and increases ER-associated degradation [4, 6]. In patients that are at risk of developing monogenic diabetes, such as PNDM, genetic testing offers the opportunity for early medical intervention , which may help to prevent apoptotic beta cell death that might be triggered by the expression of mutant insulin . New treatment strategies, addressing cellular stress-associated proteins and pathways that are induced by the expression of mutant insulin, may also help to preserve beta cell function and survival [7, 8]. Munich Ins2 C95S mutant mice exhibit a point mutation in the Ins2 gene (CA6S/C95S), leading to the loss of the A6-A11 intrachain disulfide bond of insulin 2 . 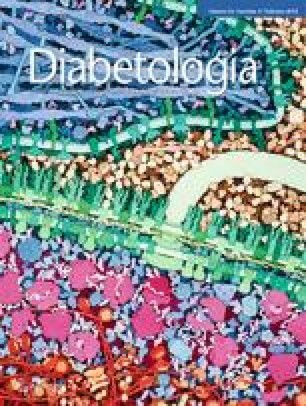 Heterozygous male mutants demonstrate a progressive diabetic phenotype, with severe hyperglycaemia, development of insulin resistance and profound loss of beta cell mass, and are thus an ideal model to systematically evaluate the consequences of insulin therapy on disease progression . The aim of the present study was to analyse the effects of early insulin therapy on the development of insulin resistance, oxidative stress, ER stress and beta cell loss in Munich Ins2 C95S mutant mice in order to provide new insights into improving the care and treatment of humans harbouring INS mutations. All animal experiments were carried out following the principles of laboratory animal care and were approved by the responsible animal welfare authority (Regierung von Oberbayern, AZ 55.2-1-54-2531-94-07). Munich Ins2 C95S mutant mice were established within the Munich N-ethyl-N-nitrosourea (ENU) mouse mutagenesis project [10, 11]. At 21 days of age, male heterozygous and homozygous mutants and wild-type mice were investigated. All other investigations included insulin-, AVE2268- and placebo-treated heterozygous male mutants as well as placebo-treated wild-type males. As soon as randomly fed blood glucose levels of mutant mice rose above 11.2 mmol/l (∼32 days of age), insulin or placebo pellets (Linbits, Linshin, Toronto, ON, Canada) were applied subcutaneously under general anaesthesia. One group of mutants was treated with insulin pellets, the other mutant and wild-type mice were supplied with placebo pellets. Treatment with a sodium-dependent glucose transporter 2 (SGLT2) inhibitor (AVE2268 , sanofi-aventis, Frankfurt, Germany) was initiated at a mean age of 32 (n = 6) and 70 days (n = 8). Male mutants were treated with 0.15% (wt/wt) AVE2268 mixed with their diet, resulting in a daily intake of 300 mg kg−1 day−1. Randomly fed body weights were determined at the age of 21, 31, 50, 100 and 150 days to the nearest 0.1 g.
At 21 days of age, blood glucose levels of wild-type mice and heterozygous and homozygous mutants were determined using a blood glucose analyser (SUPER GL, Hitado, Möhnesee, Germany) and serum proinsulin and C-peptide II concentrations were determined by Rat/Mouse Proinsulin ELISA (Mercodia, Uppsala, Sweden) and Mouse C-peptide II ELISA (Kamiya, Seattle, WA, USA), respectively. Subsequently, randomly fed blood glucose levels of insulin-, AVE2268- or placebo-treated animals were measured at weekly intervals. Data from 21-, 31-, 60-, 100-, and 135- or 160-day-old mice are shown. OGTTs were performed  at the age of 45, 85, 100 and 150 days. Serum C-peptide concentrations were analysed, randomly fed (0 min) and 10 min after glucose application, using a rat C-peptide RIA kit (Millipore, St Charles, MO, USA). At the age of 100 days, randomly fed proinsulin and glucagon concentrations were determined using a rat/mouse proinsulin ELISA kit (Mercodia) and a glucagon RIA kit (Millipore), respectively. Lipid peroxidation in the serum of 100- and 140-day-old mice was analysed using a TBARS assay kit (Cayman Chemical, Ann Arbor, MI, USA). Data are presented as malondialdehyde (MDA) equivalents. Intraperitoneal insulin tolerance tests (ITTs) were carried out with randomly fed mice at the age of 50, 100 and 150 days as described . An intraperitoneal placebo-ITT was performed with 150-day-old mice, using 0.9% (wt/vol.) NaCl solution instead of insulin. Pancreases of 21- and 100-day-old mice were homogenised in 2 mol/l acetic acid as described previously . Pancreatic C-peptide II and proinsulin concentrations of 21-day-old heterozygous and homozygous mutants as well as wild-type mice, and pancreatic C-peptide and proinsulin of insulin- or placebo-treated mice were determined as described above. Pancreatic protein content was analysed spectrophotometrically (NanoDrop ND-1000, PeqLab Biotechnologie, Erlangen, Germany). At 18 days of age, animals were perfused via orthograde vascular perfusion with neutral red, and stained pancreatic islets were isolated and subjected to SDS-PAGE as described previously . Separated proteins were blotted onto a nitrocellulose membrane and assayed for the following ER stress markers: binding Ig protein (BiP)/78 kDa glucose-regulated protein (Grp78) (Stressgen, Victoria, BC, Canada; diluted 1:10,000); C/EBP homologous protein (CHOP)/growth arrest and DNA damage inducible protein 153 (GADD153) (Santa Cruz Biotechnology, Santa Cruz, CA, USA; 1:500) and phosphorylated eukaryotic translation initiation factor 2 α (P-eIF2α) (Cell Signaling, Danvers, MA, USA; 1:1,000). In addition, islet-cell replication (mouse anti-proliferating cell nuclear antigen (PCNA), Abcam, Cambridge, UK, 1:1,000) and apoptosis (rabbit anti-cleaved caspase 3, Cell Signaling, 1:1,000) were determined; actin served as the loading control (Millipore, 1:10,000). Immunoblots were developed using the LumiGlo chemiluminescence reagents (Cell Signaling). The optical densities of bands were determined using ImageJ 1.41o (NIH 2004). Quantitative stereological analyses of the pancreas were performed at 160 days of age. Ninety minutes before being killed, 300 μl of a 10 mmol/l bromodeoxyuridine (BrdU) solution (Roche, Mannheim, Germany) per mouse was injected intraperitoneally. Tissue was fixed for histology by orthograde vascular perfusion using 4% (wt/vol.) paraformaldehyde in 0.05 mol/l cacodylate buffer (60 mmHg, 5 min, 37°C). The pancreas was cut into slices of 1 mm thickness, routinely processed and embedded in paraffin . Immunohistochemistry for beta cells and non-beta cells has been described previously . Replicating and apoptotic beta cells were identified via double immunohistochemistry for insulin- and BrdU- or TUNEL-positive cells, respectively. An alkaline phosphatase conjugated goat anti-guinea pig IgG (Southern Biotech, Birmingham, AL, USA; 1:100) was used to visualise insulin positive cells. Rat anti-human BrdU antibody (Roche; 1:50) and horseradish peroxidase conjugated rabbit anti-rat antibody (DAKO, Hamburg, Germany; 1:50) were used to reveal BrdU-positive cells. TUNEL staining was performed with the Apop Tag Plus peroxidase in situ apoptosis detection kit (Millipore). The pancreases of 160-day-old mice were examined, with unbiased quantitative stereological methods, using the Videoplan image analysing system (Zeiss-Kontron, Eching, Germany) as previously described [10, 15, 16] with minor modifications. Since beta cells of placebo-treated mutants demonstrate a poor staining intensity using immunohistochemistry for insulin , the volume densities and total volumes of beta cells were calculated by subtracting the non-beta cell and capillary areas from the total islet area in sections simultaneously immunostained for glucagon, somatostatin and pancreatic polypeptide, to avoid underestimation of degranulated beta cells. The equations used for calculations are shown in electronic supplementary material (ESM) Table 1. Statistical analyses were performed using one-way ANOVA and the least significant difference (LSD) test, except when comparing the results of insulin vs placebo-insulin tolerance tests and western blot analyses, where a paired or unpaired Student’s t test was used, respectively (PASW Statistics 17.0, IBM Deutschland, München, Germany). Serum C-peptide concentrations, and pancreatic C-peptide- and proinsulin-to-protein ratios, were logarithmised (log e ) for statistical analyses. p values <0.05 were considered significant. Data are presented as means ± SEM if not stated otherwise. Body weight gain from 21 to 100 days of age was similar in all groups investigated. At 160 days of age, placebo-treated Munich Ins2 C95S mutant mice demonstrated lower body weights compared with wild-type mice (Table 1). Blood glucose concentrations of 21-day-old homozygous mutants were significantly higher than those of heterozygous Munich Ins2 C95S mutant and wild-type mice (16.5 ± 1.2 vs 7.7 ± 0.4 vs 6.3 ± 0.2 mmol/l). From 60 days of age onwards, insulin-treated mutants generally displayed normoglycaemia, whereas placebo-treated mutant mice demonstrated a severe progressive diabetic phenotype (Fig. 1a). Blood glucose of 60-, 100- and 135-day-old AVE2268-treated mutants was significantly higher than in insulin-treated mutants and wild-type mice but significantly lower than in placebo-treated mutants (ESM Fig. 1a). During OGTT, blood glucose concentrations and the corresponding AUCs of insulin-treated mutants were similar to those of wild-type mice (Fig. 1b). The decrease in blood glucose concentration following glucose application was delayed in insulin-treated Ins2 C95S mutant mice compared with wild-type mice, but the delay was not as pronounced as in placebo-treated mutants (Fig. 1c). AVE2268-treated mutants at 100 days of age showed significantly lower blood glucose levels at all time points during OGTT and a lower AUC compared with placebo-treated mutants, and significantly higher glucose levels and AUC than insulin-treated mutants and wild-type mice (ESM Fig. 1b,c). These data clearly show that insulin treatment of Ins2 C95S mutant mice normalised glucose homeostasis and that treatment with the SGLT2 inhibitor largely reduced hyperglycaemia. Serum proinsulin and C-peptide II were determined in order to show whether mutant proinsulin 2C95S is processed and whether insulin 2 may be secreted. Serum C-peptide II and proinsulin concentrations of 21-day-old Ins2 C95S mutant and wild-type mice did not differ (Fig. 2a; proinsulin: wild-type 8.0 ± 1.5 pmol/l, heterozygous: 8.2 ± 2.0 pmol/l, homozygous: 4.8 ± 0.5 pmol/l). These findings show that proinsulin is processed and that mutant insulin/C-peptide II may be secreted. In order to investigate the influence of diabetes treatment on beta cell function, C-peptide levels were determined. Serum C-peptide levels of heterozygous insulin-treated Ins2 C95S mutant mice were significantly lower than those of wild-type mice and placebo-treated mutants. Placebo-treated mutant mice exhibited about half the randomly fed C-peptide concentrations compared with wild-type mice (Fig. 2d, Table 2). AVE2268-treated mutants displayed slightly lower randomly fed C-peptide concentrations than wild-type mice and significantly higher C-peptide levels than insulin-treated Ins2 C95S mice (ESM Fig. 1d). Ten minutes after oral glucose application, serum C-peptide levels of wild-type mice increased 1.5- to 3.6-fold, whereas those of insulin-, AVE2268- and placebo-treated mutants did not rise (Fig. 2e, ESM Fig. 1e, Table 2). Proinsulin concentrations in the serum of 100-day-old insulin- and placebo-treated Ins2 C95S mutant mice were not detectable; in wild-type mice proinsulin was 14.1 ± 3.5 pmol/l. At the age of 100 days, serum glucagon levels of insulin-treated mutants and wild-type mice were similar. Placebo-treated Ins2 C95S mutant mice demonstrated significantly higher serum glucagon levels than insulin-treated mutants and wild-type mice (Fig. 2f). These results show that insulin treatment normalised hyperglucagonaemia of Munich Ins2 C95S mutant mice. In order to investigate the influence of the Ins2 C95S mutation on insulin biogenesis, pancreatic proinsulin, C-peptide, and C-peptide II concentrations were determined. Twenty-one-day-old homozygous Munich Ins2 C95S mutant mice demonstrated significantly lower pancreatic C-peptide II- and proinsulin-to-protein-ratios than heterozygous mutants and wild-type mice (Fig. 2b,c). The influence of mutant Ins2 C95S on C-peptide II production was initially more pronounced than the influence on insulin secretion (Fig. 2a). The pancreatic C-peptide- and proinsulin-to-protein ratios of 100-day-old insulin-treated Ins2 C95S mutant mice were significantly lower than those of wild-type mice, but significantly (fourfold) higher than those of placebo-treated mutants (Fig. 2g, h). ITTs were performed in order to analyse the effects of diabetes treatment on insulin sensitivity in Ins2 C95S mutant mice. At the age of 50 days, the AUC for blood glucose in insulin- and placebo-treated mutants and wild-type mice was similar (data not shown). At 100 and 150 days, insulin-treated mutants exhibited a similar blood glucose AUC to wild-type mice, whereas placebo-treated mutants demonstrated a higher AUC than wild-type mice and insulin-treated mutants, indicating insulin resistance (Fig. 3a). Treatment with the SGLT2 inhibitor AVE2268 also normalised insulin sensitivity of Ins2 C95S mutant mice (ESM Fig. 1f). To investigate the influence of the insulin pellets during the ITT, the blood glucose AUC of a placebo-ITT was compared with that of the ITT at the age of 150 days. The AUC of blood glucose in placebo-treated Ins2 C95S mutant mice was similar during placebo-ITT and ITT, whereas insulin-treated mutants and wild-type mice demonstrated a significantly larger AUC during placebo-ITT vs ITT (Fig. 3b). The results of ITTs demonstrate that diabetes therapy with both insulin and the SGLT2 inhibitor completely prevented insulin resistance in Munich Ins2 C95S mutant mice, whereas placebo-treated mutants developed insulin resistance at 100 days of age. Serum malondialdehyde (MDA), a biomarker for oxidative stress, was determined in order to investigate the influence of hyperglycaemia and normalisation of blood glucose levels by insulin treatment on oxidative stress. One hundred- and 140-day-old insulin-treated Munich Ins2 C95S mutant mice demonstrated similar serum lipid peroxidation (MDA levels) to age-matched wild-type mice. MDA levels of placebo-treated mutants were over threefold higher than those of insulin-treated mutants and wild-type mice (Fig. 3c). Serum MDA levels of 100-day-old AVE2268-treated Ins2 C95S mutants were significantly lower than those of placebo-treated mutants but were significantly higher than those of insulin-treated mutants and wild-type mice (ESM Fig. 1g). Blood glucose concentrations correlated with lipid peroxidation in the serum at 100 (ESM Fig. 1h) and 140 days of age (Fig. 3d). These results clearly show that diabetes therapy with insulin prevented oxidative stress in Ins2 C95S mutant mice. Islets of 18-day-old mutants and wild-type mice were morphologically indistinguishable, and the purity (∼95% islets) and number of islets isolated per animal did not differ between the genetic groups (on average, 101 ± 23 islets and 106 ± 25 islets were harvested per wild-type and mutant mouse, respectively). The level of BiP and P-eIF2α expression in the islets of 18-day-old Munich Ins2 C95S mutants was significantly higher than that of wild-type mice (Fig. 3e, f). CHOP (Fig. 3g) and PCNA abundance did not differ (data not shown), and cleaved caspase 3 was not detectable in the islets of 18-day-old mutants and wild-type mice (data not shown). Insulin-treated Munich Ins2 C95S mutant mice showed fewer insulin positive cells, some with unchanged and some with weaker staining intensity compared with wild-type mice. Placebo-treated mutants demonstrated very few, overall weakly stained, insulin positive cells, indicating degranulation of beta cells. Immunohistochemistry for glucagon, somatostatin and pancreatic polypeptide containing non-beta cells revealed an altered islet composition in placebo-treated mutants (Fig. 4). The pancreas weight of insulin-treated mutants, placebo-treated mutants and wild-type mice was similar (308 ± 17, 328 ± 31, and 326 ± 19 mg, respectively). Insulin-treated mutants demonstrated slightly higher total islet volumes (Fig. 5a) as well as significantly higher total beta cell volumes (Fig. 5b) and total volumes of isolated beta cells in the pancreas (Fig. 5c) compared with placebo-treated mutants, whereas these variables were significantly lower than in wild-type mice. Insulin-treated mutants and wild-type mice exhibited a similar total volume of non-beta cells in the islets (Fig. 5d), whereas the total volume of non-beta cells was significantly increased in placebo-treated mutants. The numerical fraction of replicating and apoptotic beta cells and non-beta cells in the islets varied substantially within one group and was not significantly different between groups (Table 3). The quantitative stereological findings demonstrate that insulin treatment ameliorates beta cell loss as well as islet neogenesis and normalises diabetes-induced non-beta cell hyperplasia in Munich Ins2 C95S mutant mice. Patients exhibiting heterozygous INS mutations develop diabetes mostly before 6 months of age because of dominant negative effects of the mutated INS allele [2, 4, 7, 17]. Mutations that affect pre-proinsulin processing and proinsulin folding lead to the accumulation of mutant protein in the ER and inefficient secretion of both mutant and native insulin. The induction of the unfolded protein response attenuates protein synthesis and may result in apoptosis of beta cells with time . At the time of presentation, many patients exhibit greatly elevated blood glucose levels and therefore probably start insulin therapy at an advanced disease stage . Male Munich Ins2 C95S mutant mice develop severe diabetes mellitus, insulin resistance, hypoinsulinaemia and beta cell loss  and are thus an ideal model to systematically evaluate the consequences of insulin therapy on disease progression. To address the effects of early insulin treatment, therapy was started as soon as the animals presented blood glucose levels above 11.2 mmol/l. First, we analysed whether insulin 2 may be secreted in Munich Ins2 C95S mutant mice before the start of therapy. At 21 days of age, serum C-peptide II levels of heterozygous and homozygous Ins2 C95S mutant mice were comparable with wild-type mice, showing that mutant insulin 2 is initially effectively secreted. These findings are in line with in vitro studies that demonstrated that mutant proinsulin missing the A6-A11 intrachain disulfide bond is partially effectively secreted from 293 T cells . In contrast, another in vitro study using cells expressing the proinsulin mutant CA6Y demonstrated almost no secretion of mutant proinsulin , similarly to proinsulin bearing the Akita mutation (CA7Y)  and several other mutant insulin types that also perturb the secretion of native insulin [7, 8, 9]. However, pancreatic C-peptide II content was significantly reduced in Ins2 C95S mutants, showing that early toxic effects of mutant Ins2 C95S pertained to proinsulin production/degradation. These dominant negative effects of mutated Ins2 may be explained by the recruitment of non-mutant proinsulin into disulfide-linked complexes, leading to blocking of insulin production and subsequent insulin deficiency . The induction of the unfolded protein response also negatively affects the synthesis and secretion of wild-type insulin as a result of translational inhibition [7, 9]. The induction of the unfolded protein response in Munich Ins2 C95S mutants was analysed in the present study using western blot analyses of isolated islets of mutants and wild-type mice. Before the onset of hyperglycaemia, Ins2 C95S mutants demonstrated an increased abundance of the chaperone BiP, which increases protein folding activity and prevents protein aggregation, and of P-eIF2α, which plays a role in the prevention of accumulation of unfolded proteins by translational inhibition . These findings are in line with the results of other studies that demonstrated increased ER stress in response to the expression of mutated insulin [4, 21, 22]. The abundance of the apoptosis markers CHOP and cleaved caspase 3, as well as PCNA, an indicator for cell replication, was unaltered in young Ins2 C95S mutants, which was not unexpected, since islet mass only starts to decline after 100 days of age in untreated mutants (N. Herbach, E. Wolf and R. Wanke, unpublished data). Cells expressing the mutant proinsulin CA6Y exhibited increased expression of ER stress markers, and apoptosis was more frequent in vitro . Therefore, toxic gain of function might perturb beta cell viability in INS mutation carriers  and in Ins2 C95S mutants in later stages of the disease. Unfortunately, it was not possible to isolate sufficient quantities of pure islets after onset of hyperglycaemia despite insulin treatment, as a result of the extreme fragility and altered morphology of the islets of mutant mice. Therefore, western blot analyses of islets of insulin- and placebo-treated mutants were not feasible (N. Herbach, S. Kautz and R. Wanke, unpublished observations); however, early insulin therapy of Ins2 C95S mutants might, in addition to reducing oxidative stress, reduce ER stress by reducing insulin demand and production . Diabetes therapy in heterozygous mutants was shown to normalise (insulin) or greatly reduce (AVE2268) blood glucose concentrations, thereby preventing the development of insulin resistance and oxidative stress in heterozygous male Ins2 C95S mutant mice. C-peptide secretion, however, was suppressed by insulin therapy. Likewise, in insulin-treated patients exhibiting INS mutations leading to PNDM, C-peptide levels declined and were soon undetectable . The effects of chronic insulin therapy on insulin production and secretion remain controversial. Both negative feedback and stimulatory effects of insulin on insulin secretion and INS expression have been observed, probably depending on the system studied and the dosage used [23, 24, 25], whereas the results of the present study indicate the reduction of C-peptide secretion in response to the application of physiological doses of insulin in vivo. The pancreatic C-peptide content of insulin-treated mutants was significantly higher than that of placebo-treated Ins2 C95S mutant mice. Therefore, the prevention of glucotoxicity and oxidative stress ameliorated signs of beta cell exhaustion and increased insulin storage, which is most likely attributable to reduced insulin secretion/demand . The severe reduction of pancreatic C-peptide and proinsulin levels in placebo-treated mutants argues for increased intracellular degradation of proinsulin. Likewise, increased intracellular degradation of mutant proinsulin was found in the beta cells of Akita mice, leading to reduced insulin and C-peptide content in the pancreas [22, 26, 27]. Insulin treatment inhibited non-beta cell hyperplasia, preserved islet architecture and normalised hyperglucagonaemia in Ins2 C95S mutant mice. Chronically elevated blood glucose levels can lead to disturbed glucose sensing in alpha-cells, resulting in increased glucagon secretion, thereby impairing the diabetic phenotype, a phenomenon that is also observed in human diabetic patients [28, 29, 30]. Insulin treatment ameliorated beta cell loss in male Ins2 C95S mutants, which can be explained by the prevention of oxidative stress/glucotoxicity [31, 32]. In addition, downregulation of the insulin biosynthetic process by exogenous insulin may prevent an exaggerated unfolded protein response, beta cell apoptosis and increased production of ROS. It was suggested that misfolded proteins compromise beta cell function and lead to decreased insulin secretion, whereas the insulin production of functional beta cells is stimulated, eventually leading to beta cell failure and onset of diabetes . Increased insulin production of the beta cell also leads to increased production of ROS, and chronically elevated ROS negatively influences beta cell function and survival . However, beta cell mass was not completely preserved in insulin-treated Ins2 C95S mutants, which may be due to the inability of exogenous insulin to normalise ER stress. The number of apoptotic beta cells in histological sections was not increased in mutant vs wild-type mice, which is in line with our previous investigations  and may be explained by the late time point of investigation, where beta cell mass is already reduced by about 70% and by the rapid clearance of apoptotic cells by macrophages [27, 33, 34]. However, the reduction of the beta cell mass suggests that apoptosis does occur in Ins2 C95S mutants, since this variable, unlike apoptotic cell counts, provides a long-term readout and not just a snapshot of the situation. Taken together, the present data obtained from insulin-treated Ins2 C95S mutants could show that early diabetes treatment ameliorates beta cell loss and prevents oxidative stress, insulin resistance and non-beta cell hyperplasia, as well as alpha cell hyperfunction, suggesting that early insulin treatment may be beneficial in human carriers of INS mutations. Novel therapeutic approaches that ameliorate cellular stress resulting from the synthesis of mutant insulin could, however, possibly restore beta cell function, thereby enabling the secretion of native insulin, which could be sufficient to maintain normal glucose homeostasis in heterozygous mutation carriers. We would like to thank L. Pichl, A. Siebert, A. Ciolovan and S. Zwirz for excellent technical assistance. Special thanks to sanofi-aventis Deutschland GmbH, particularly D. Isert and A. Herling for kindly providing the SGLT2 inhibitor AVE2268, as well as comprehensive support in designing the SGLT2 inhibitor treatment protocol. This study was supported by the Deutsche Forschungsgemeinschaft (GRK 1029; S. Kautz, L. van Bürck, M. Schuster, N. Herbach, R. Wanke). SK contributed to the analysis and interpretation of data, drafting the article and gave final approval for the article. LvB and MS contributed to the analysis of data, and revision of the article, and gave final approval for the article. EW and RW contributed to the conception and design, and revision of the article, and gave final approval for the article. NH contributed to the conception and design, analysis and interpretation of data, drafting the article, and gave final approval for the article.